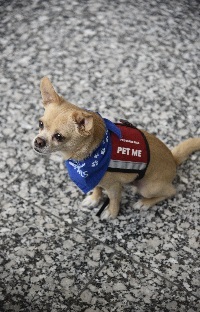 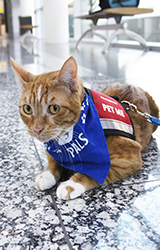 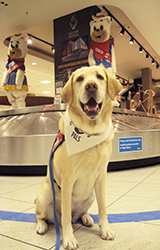 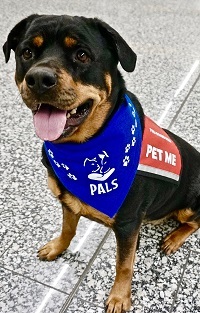 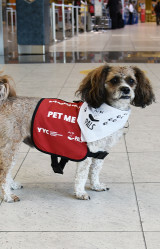 Pre-Board Pals is a partnership between The Calgary Airport Authority and Calgary’s Pet Access League Society (PALS) that brings canine and feline pals to the airport to enhance the passenger experience. 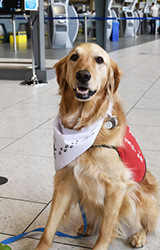 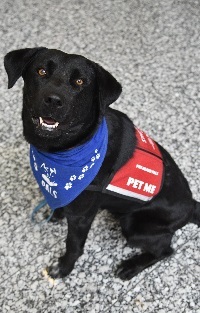 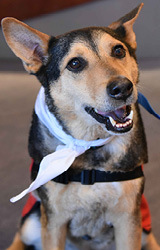 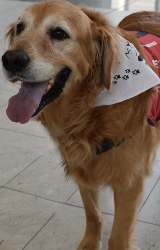 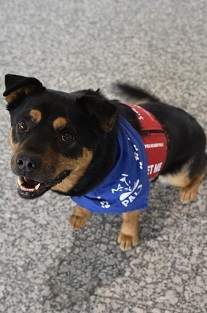 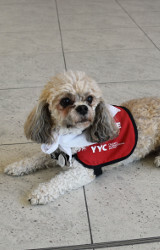 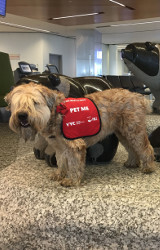 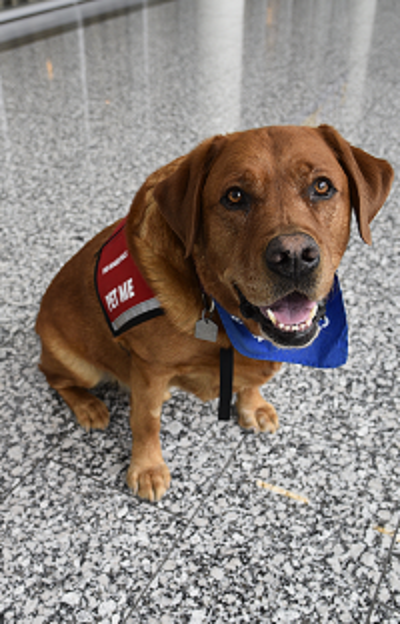 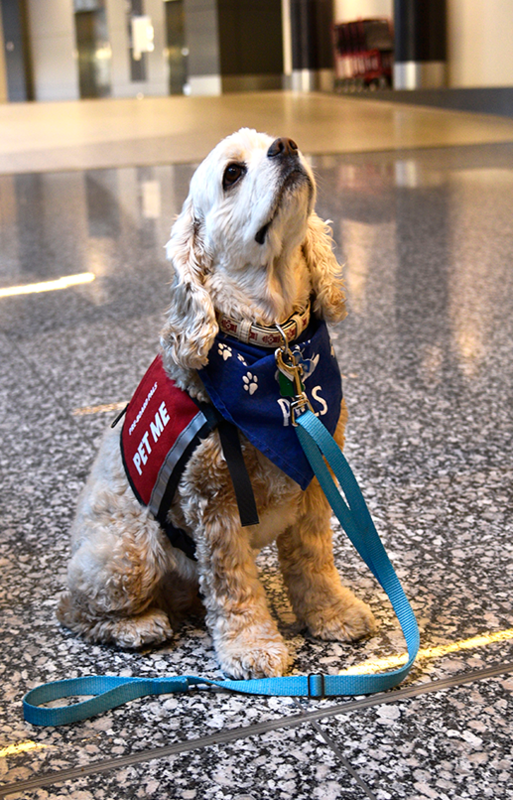 The therapy dogs, with their volunteer side-kicks in tow, will roam the terminal and greet visitors to YYC during peak travel times every Thursday to Sunday. 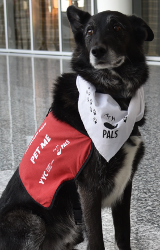 Whether you are having a ruff day or just love pets, we are pawsitive that YYC’s Pre-Board Pals will add a smile to your day. 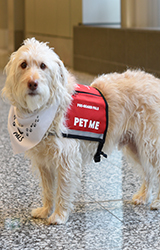 Although for some therapy animals interaction is not encouraged, the opposite is true with our Pre-Board Pals team! 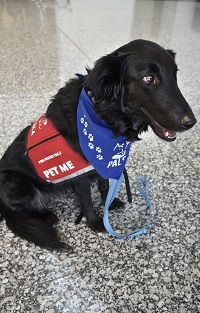 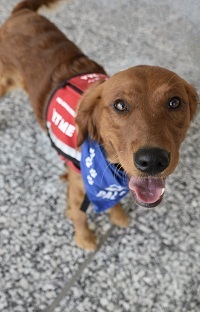 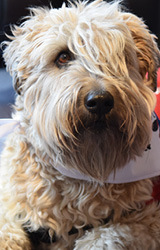 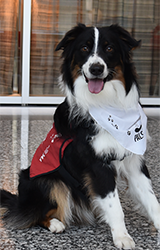 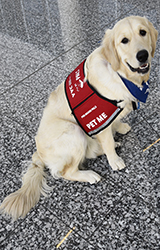 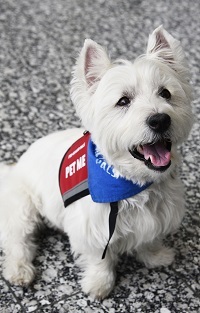 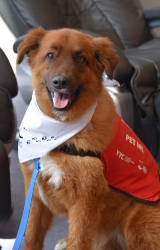 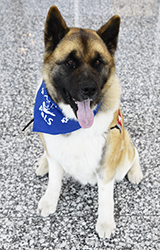 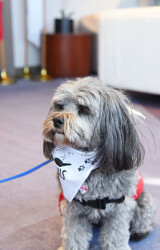 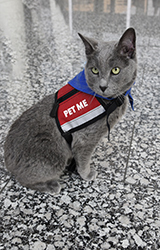 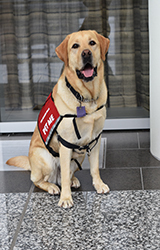 The therapy dogs are easily identifiable with their red “pet me” vests, white bandanas and human companions. 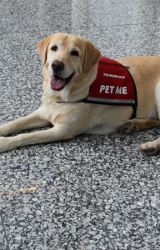 Please get all the love you need! 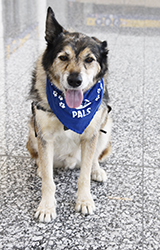 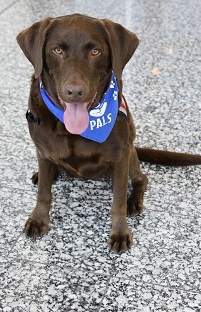 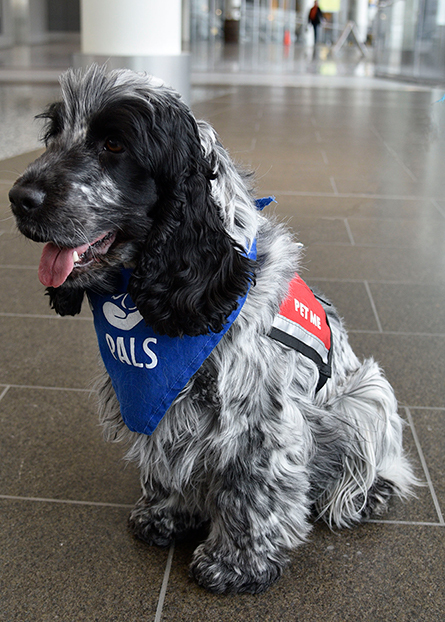 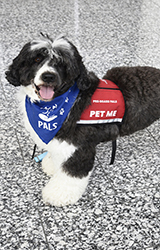 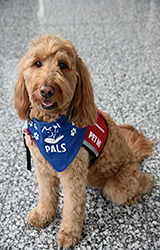 PALS is a non-profit organization providing regular pet therapy visits to senior citizens, children, teenagers and adults at over 50 facilities in Calgary including the Alberta Children’s Hospital, Sheldon Kennedy Child Advocacy Centre, Women’s Emergency Shelter. 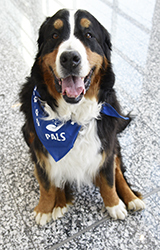 Through pet therapy, PALS is helping to improve the mental, physical, social and emotional health of the over 31,000 Calgarians every year. 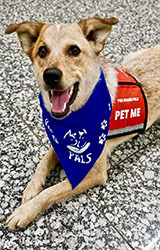 For additional information about PALS call 403-250-7257 or visit us online at www.palspets.com. 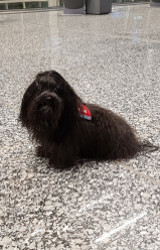 Tricks: Tricks aren't for me, but I can sit! 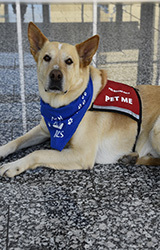 Tricks: "Pet me until I slide onto my back, now rub my belly"
Tricks: Stepping on your toes when dancing! 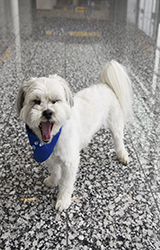 Tricks: Stealing TV remote to trade for treats!